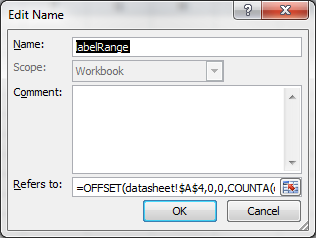 I just had to do something at work that I already knew I was going to hate: export some data to an Excel file and the file should also contain a chart based on that data. I knew I was going to hate this because I’ve worked on manipulating Excel files from Java before and it’s not easy. The good news is I figured it out and managed to keep my sanity. 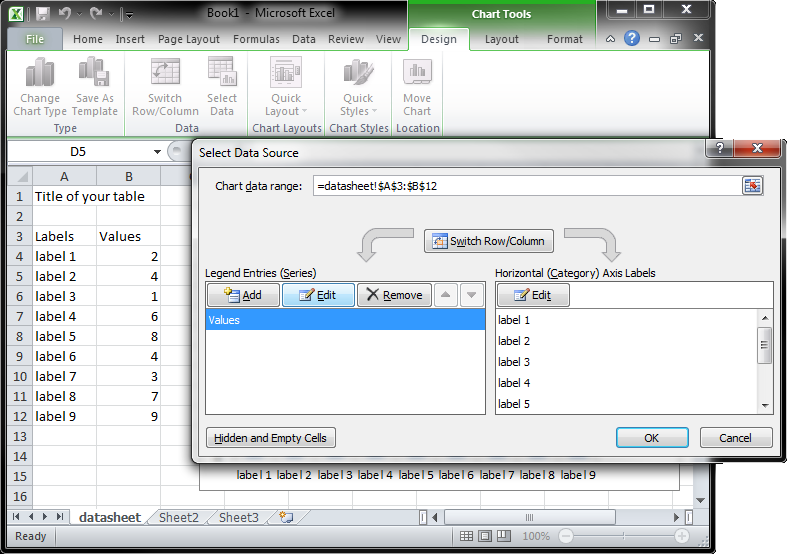 create a template Excel file that contains a chart, then use Apache POI to fill the template with data. 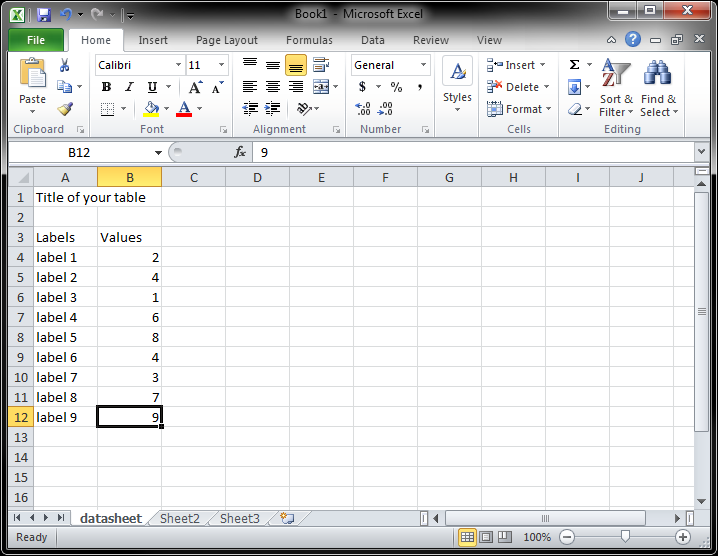 The second option I did not even explore. 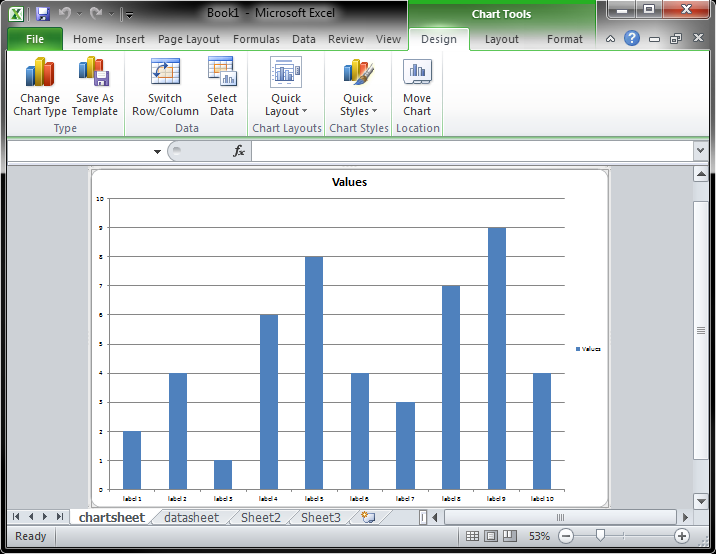 There are resources on how to do that, but if you’re doing that there is no point of exporting an Excel file, you can just export the data and the chart in a PDF. 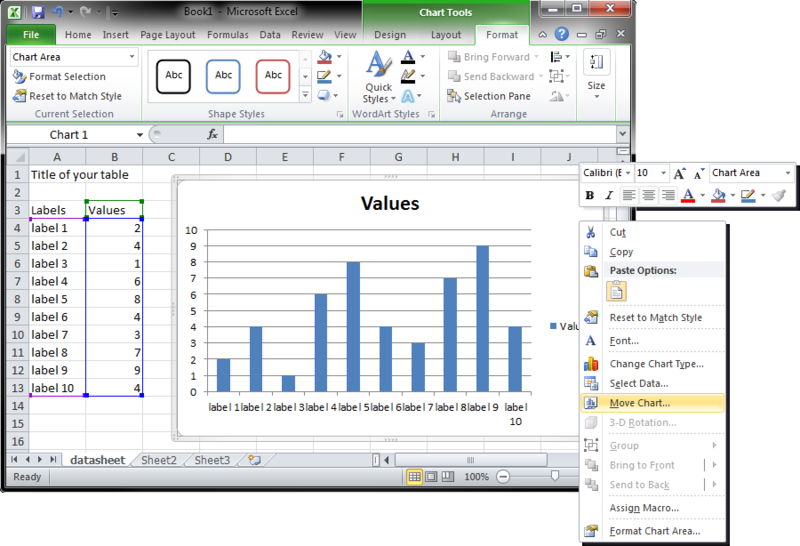 The Excel file is dynamic, you send it to your users and they can modify the data and see how different values would affect the chart. I moved on to the third option. define a chart that can dynamically use the data in the table. 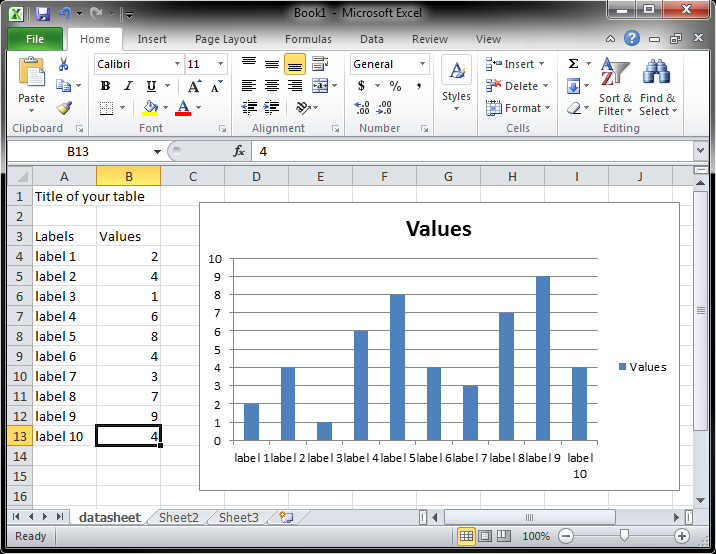 A very elegant way to do this would be to use the table feature in Excel (create dynamic charts in Excel using the table feature). 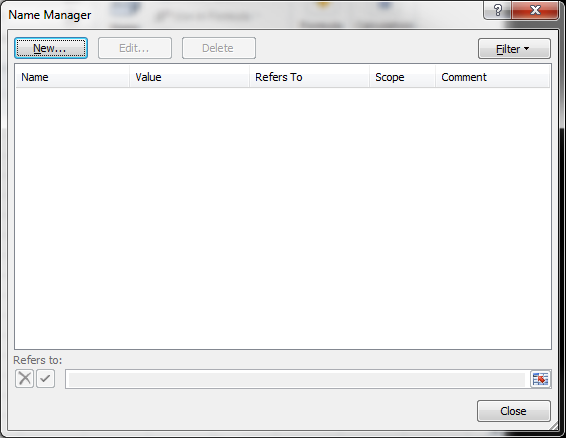 That doesn’t work in Apache POI. 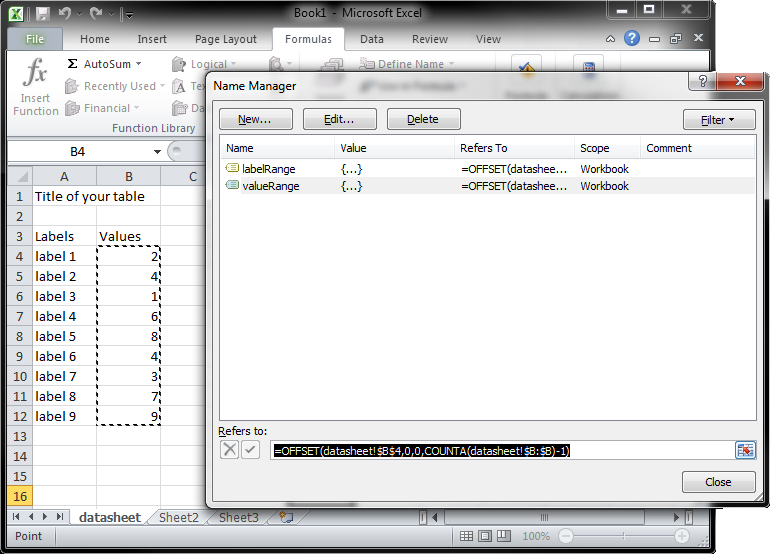 Opening the template file with Apache POI will break the table feature and the chart based on the table. You can insert your data, but neither the table nor the chart will be updated. 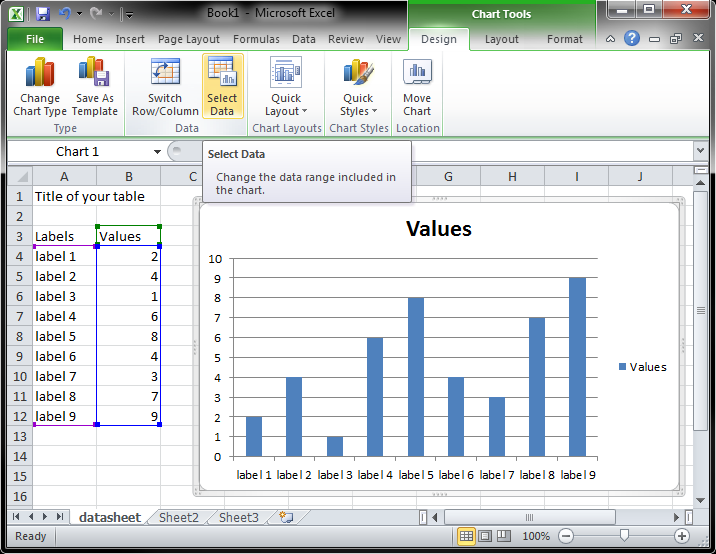 What is left is using dynamic series (create dynamic charts in Excel using dynamic series). I’ll walk you through the steps of making this work in the tutorial section. First, create your file and the structure of you data sheet. 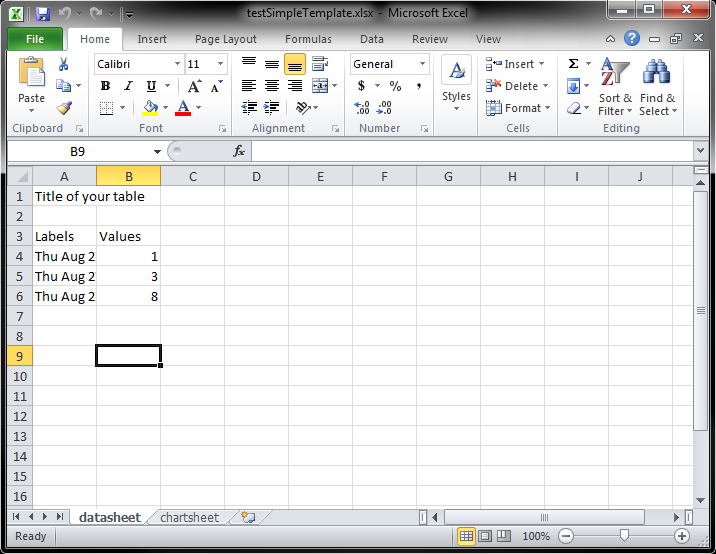 Enter the name of the sheet, then write a title and your table header. 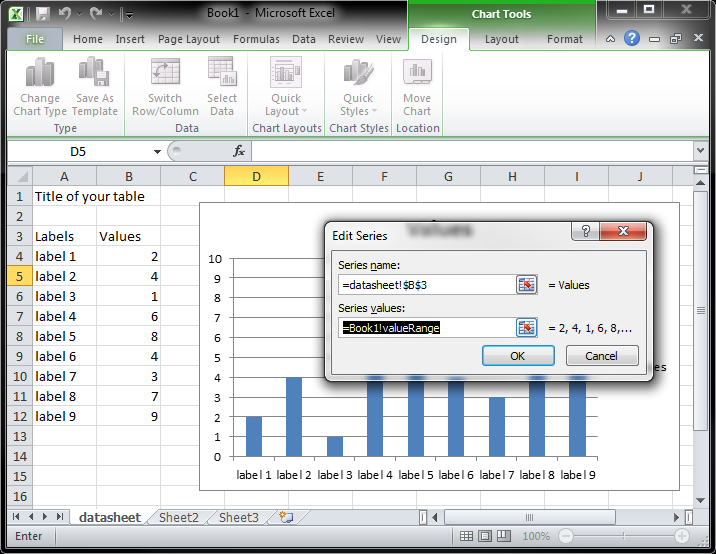 Define the dynamic series you are going to use in the chart (go to Formulas, Name Manager). 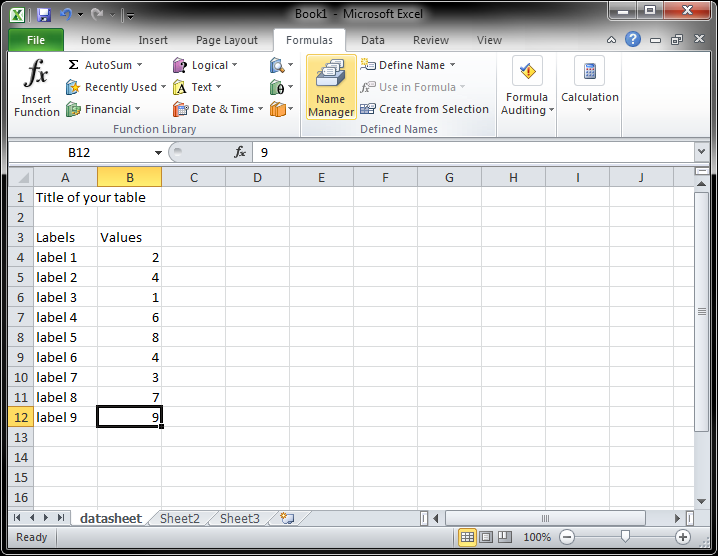 Verify the formulas are good. 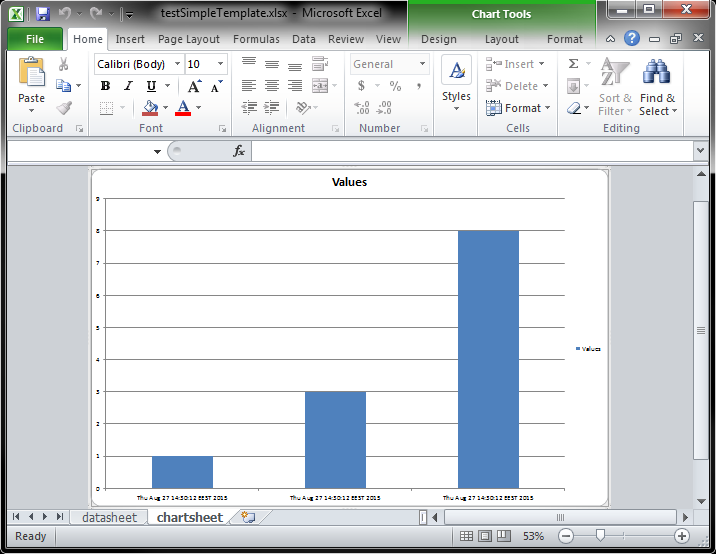 Create a chart based on your data. 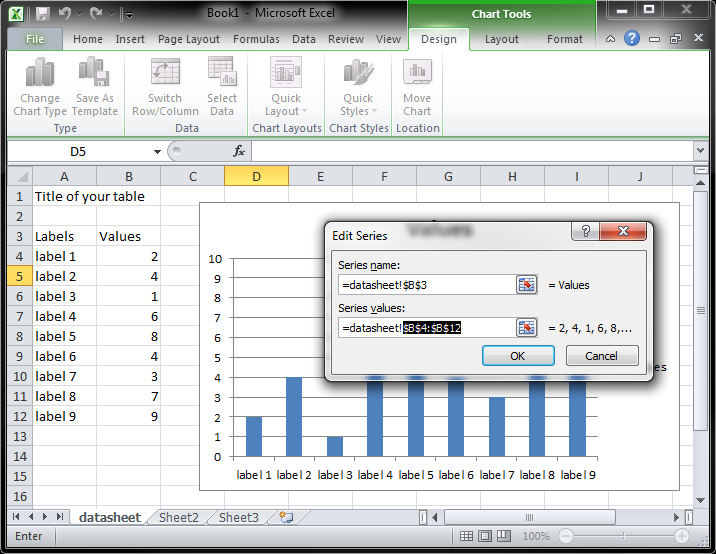 Replace chart data with dynamic series names. 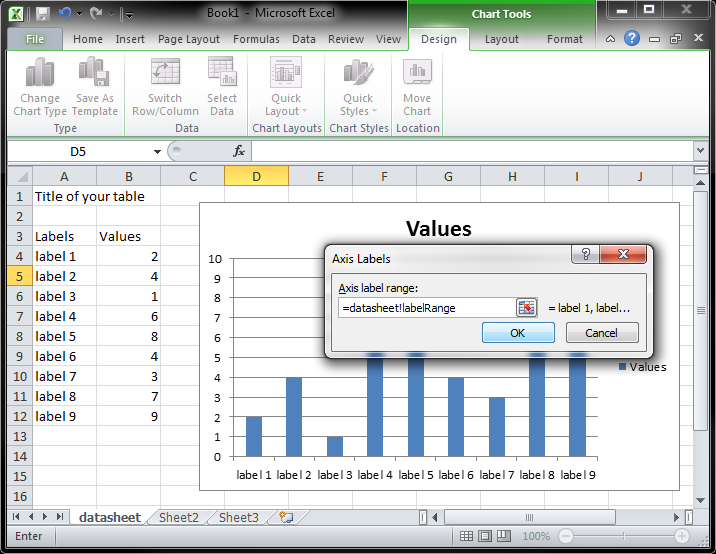 When you add new labels and values, they should show up in the chart. 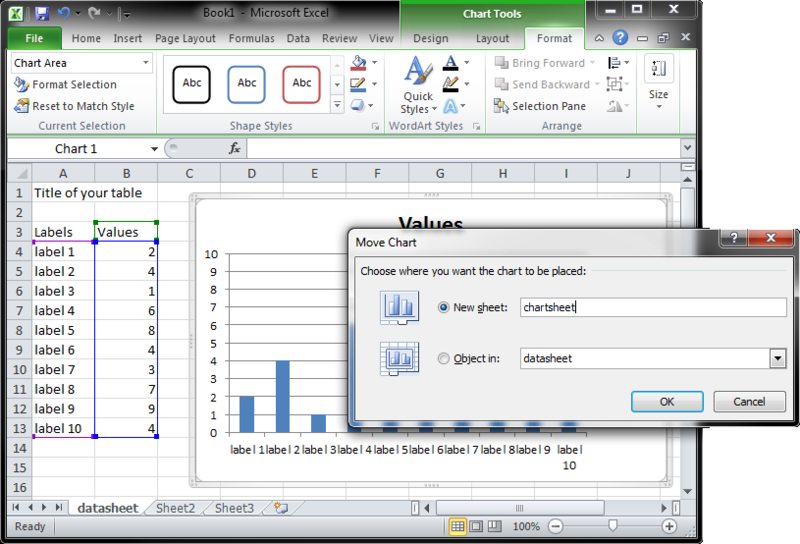 Move the chart to a separate sheet.